The Operation and Maintenance of the Rotary Sieve - Wuxi Huamu machinery Co.,LTD. The rotary grading sieve is an indispensable piece of equipment in the modern feed production process. It is widely used in feed mills. During production, when some users are not operating and maintaining the equipment enough, there will be some problems. 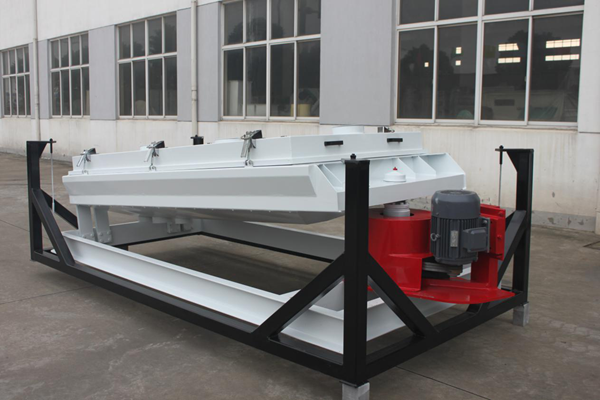 If the water level of the sieve boat is not sufficient, the sieve boat will have irregular vibrations, pulsations and loud noises that affect production and the loosening of connecting parts or even instances of cutting-off. The correct operation and maintenance of the rotary sieve is particularly important. Now that we have briefly introduced the operation and maintenance of the rotary sieve, we hope the user can implement the following key points correctly. 1.Before operating the machine, the operator should read the instruction manual carefully, be familiar with the performance of machines and understand the structure of the machine and key points of operation. 2.Before operating the machine, the connecting bolt must be checked, there must be no looseness (Try to check it every day before starting it). 3.Wait for 2-3 minutes after doing the start-up operation. If there are no abnormal phenomena (such as it getting stuck, hit or rubbing) then it can be used. 4.During the process of production, try to make the rotary sieve feed port full of feed if possible. Avoid the sieve working without feed or else the rotary screen would idle for a long time, increasing the wear of the sieve and the unevenness of the transmission box. 5.For large rotary equipment with double feed ports, other than to meet the above requirements, the amount of feed that goes to the surface of the sieve must be similar. Avoid material going to one side of the sieve and unevenly loading the transmission box. 6.During the operation of the machine, if there is a strong vibration, noise or the bearing temperature rises too much or there are other abnormal conditions, it should be stopped immediately. Find the reason and after troubleshooting, the production can be continued (It is strictly forbidden to work while there are issues). 7.The machine must not be used in the condition of overload. 8.Screening of different materials, the sieve with different holes should be used to meet the production and quality requirements (The specifications have a detailed configuration table for reference). 9.By adjusting the tightness of the bolt on the cables to keep the four cables in line ensures consistent force and eliminates vibrations on the wire sling. This is done in order to improve the lifespan of the wire sling and is done for smooth operation of the sieve. 10.Add a proper amount of lithium base grease to each shift in the transmission. Clean the bearings once a year and change the lubricating grease as well. 11.After 1000 hours of operation, a thorough inspection should be conducted to repair or replace the parts when they are damaged or badly worn. Always pay attention to the lubrication in all parts of the equipment. To keep the machine running properly and extend the lifespan of the equipment. Apply grease before leaving the factory. The user determines the lubrication cycle according to the specific working conditions. There are two lubricating parts in the equipment which are on the bearing seat of the head and end. It is strictly prohibited to adjust the equipment during operation.